Things have been very busy in Depot-land. Our traveling workshop, which starts next weekend, sold out in one week - 7 students, 4 teachers, 4 printshops, 4 days. More workshops to come in the future. Tom Parson also held his first one-on-one workshop - $100 for 4 hours. If interested, email us at englewooddepot@gmail.com. 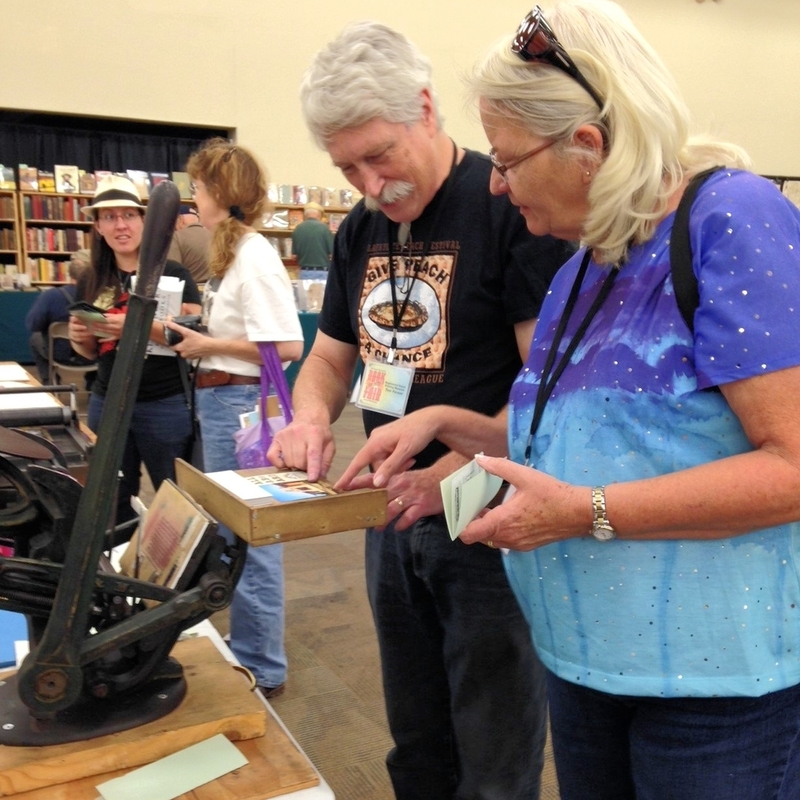 The Book & Paper Fair (slideshow below) was a wonderful time for all-things Book Arts. Tom printed, David Ashley calligraphed names, and Karen Jones explained book conservation. The Depot, the Colorado Calligraphers Guild, the Guild of Bookworkers and Book Arts League all were represented. It was a great time to meet others interested in book arts, and spread the word about the Depot. This past weekend, Tom and I again printed - this time at a birthday party, where guests were encouraged to join, and several did. On the building end, meetings with architects, civil engineers and others ongoing; some weed-whacking and planting too. If you'd like to volunteer for anything - trenching, re-orienting leaks, putting together shelves, helping with the next event, or if you know an accountant/CPA who might volunteer their skills - email englewooddepot@gmail.com.